Good morning! I hope you all had a great week. I'm looking forward to one of our annual parties on Saturday, where my husband and I will entertain about 30 of our closest friends in the backyard. Fun times! 1. Our Fall party each year is what we call "Fry-Day". We set up stations with several kinds of batter, and all of our friends bring foods to fry. My favorite concoctions include: fried marshmallows in funnel cake batter, beer battered bacon-wrapped shrimp, sausage and cheese on a skewer in cornmeal batter, and funnel cake battered Twinkes. Mmmmmm, tasty! 2. This week I was thankful to work with lots of cool people. Even during a stressful day, there was no shortage of important shoe purchase opinions. My cube neighbor Ann agreed with me that I'll never regret purchasing these shoes and I'm pretty excited to wear them all year long! 3. 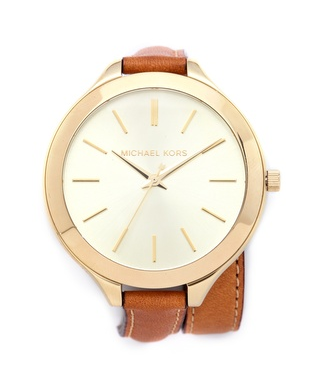 In the past couple of years, I've become a bit of a watch junkie in addition to cardigans. I wore the same tank style watch for years, and now I have that plus two more in heavy rotation. That means I don't need this one, but I shall admire it anyway. 4. If you spend any time on Pinterest, you'll see that the ladies of America aspire to wear black leggings with a stylish long sweater and brown boots. However, it can be hard to find a top that covers your thigh tops without it turning into a dress, and showing the crotch area of leggings is generally unattractive. Enter the black knit mini skirt - layering one like this from Express over the leggings will make the outfit more flattering but still achieves the same look. 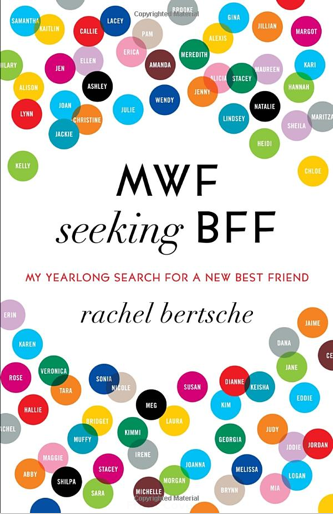 It's written by Rachel Bertsche, a 30ish writer in Chicago who realized that she had a happy marriage in a new city, but not many true friends. 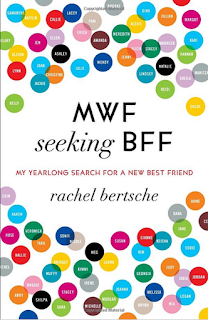 The book chronicles her quest to meet a new friend each week for a year and it was really inspiring. I'm not about to do what she did, but it was nice to be reminded that so many of us wish we had the courage to purposely strike up a friendship and put in the time to cultivate it, but it's generally seen as awkward in our culture to admit it. After finishing the book, I decided to branch out a little and talk to strangers in real life instead of on the internet. Hopefully nobody thinks I'm creepy, and maybe I'll end up with new friends too.